"What is nobler than gold? 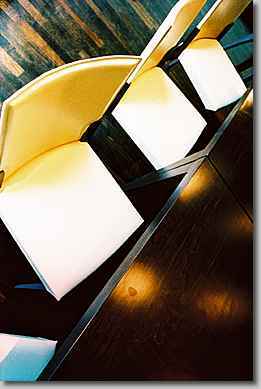 What is more vivid than light? Communications don't only enhance private and personal relationships. 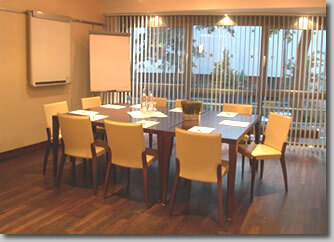 At our hotel customer meetings are given lots of room for developing big ideas. Here too the media is the message. 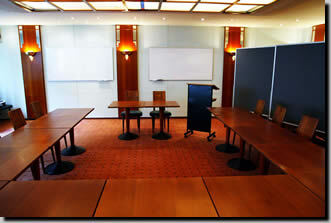 Our boardroom “Mailand” offers space for up to 15 participants, our conference room „Barcelona“ for up to 48 participants. 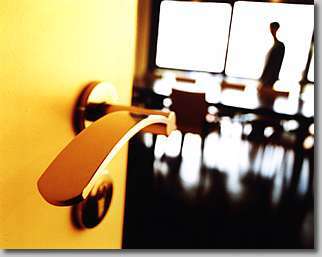 The rooms are equipped with modern communication technologies, mediatechnic and air condition.